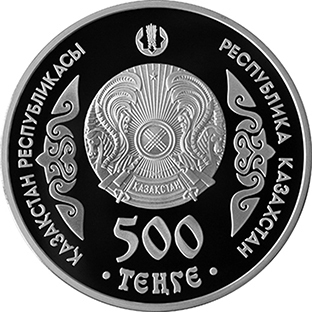 Obverse: state emblem of the Republic of Kazakhstan in the center; inscriptions “500” and “TENGE” at the bottom indicate the denomination of the coin; to the left and to the right are mirrored elements of the national ornament; inscriptions “REPUBLIC OF KAZAKHSTAN” in Kazakh and Russian; at the top is the logo of the National Bank of the Republic of Kazakhstan; protruding rim along the circumference. 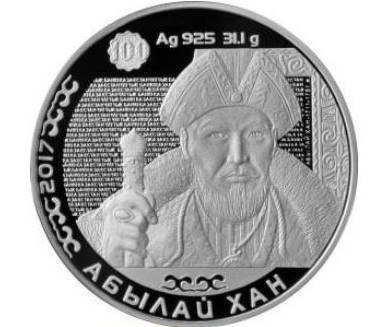 Reverse: in the center of the coin is a fragment of the front of the 100 tenge banknote, which features a portrait of Ablay Khan; inscriptions “Ablai Khan” and “Ag 925 31.1 g”, the number “2017”, which indicates the year of coinage, and banknote’s graphic elements are along the circumference; protruding rim along the circumference. 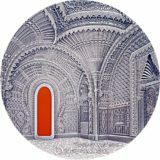 The edge of the coin is grooved. 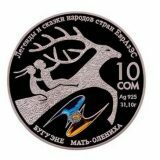 Weight: 31,1 ± 0,31 gr. 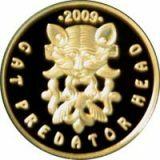 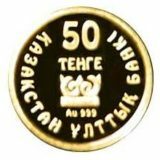 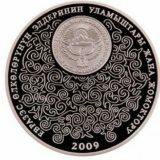 Official mintage is 3000 pcs but actually Kazakhstan Mint minted only 500 pcs (you can find this information on Russian version of National Bank of Kazakhstan website).